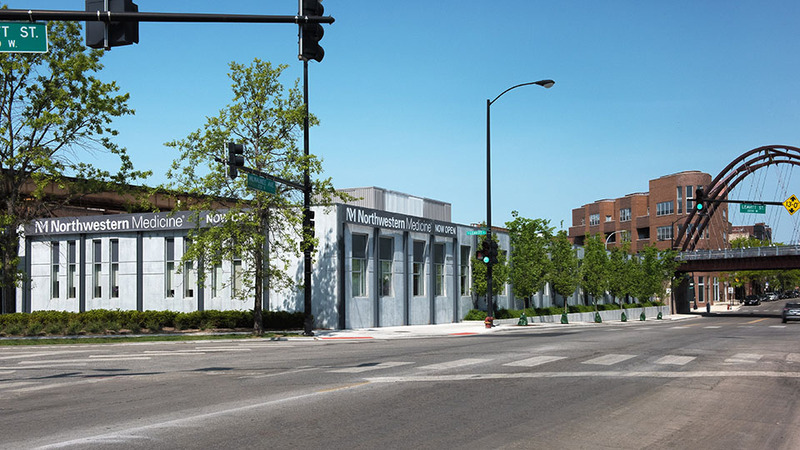 Northwestern Medicine Bucktown provides patients with quality primary care for children and adults, dermatology and imaging services. Northwestern Medical Group offers a wide variety of patient services to help you stay healthy, stay informed and to prepare you for your visit. Your family will receive the specialized care they deserve from board-certified pediatricians and internal medicine physicians, as well as specialists on staff. Over 30 free parking spaces are available in our parking lot, which you can enter from N. Leavitt St. (just west of Milwaukee Ave.). Street parking is also available on N. Milwaukee Ave. and side streets. Northwestern Medicine Bucktown physicians offers convenient primary care and dermatology services. Northwestern Medical Group Internal Medicine offers a full spectrum of services for adults with a special emphasis on preventive medicine. Our services are designed to help you stay healthy, as well as promptly diagnose and effectively treat you when necessary. We also can help you manage a chronic condition. Our aim is to be your partner for achieving and maintaining your overall good health. Northwestern Medicine primary care physicians are specialists in Internal Medicine, Family Medicine, or Pediatrics who serve patients as a first point of contact in health care. Primary care physicians also take ongoing responsibility for a patient’s comprehensive health and well-being, including preventive, chronic, and acute care in both outpatient and inpatient settings.